We're all just waiting for the playoffs to start, right? That's what it feels like. With just two days left in the regular season, there isn't a whole lot left to be decided. That's much different than the past two years; 2015 especially was up for grabs at this point. There are a few things to watch on Saturday and Sunday, however. The Yankees are two games back of the Red Sox for the AL East title. If the two teams tie—unlikely I know—there would be a one-game playoff on Monday before the AL Wild Card Game on Tuesday. The Indians have a one game lead over the Astros for the American League's best record. However, it's more like a two game lead because they also own the head-to-head tiebreaker. The Rockies own a two game lead for the second NL Wild Card spot. One more win at home against the Dodgers or a loss by the Brewers in St. Louis gets Colorado back in the playoffs for the first time since 2009. Mike Trout hit two homers on Friday, getting him up to 200 for his career. His 2017 OBP rests at .446, just .004 points lower than the .450 he needs to have a .300/.450/.600 season. 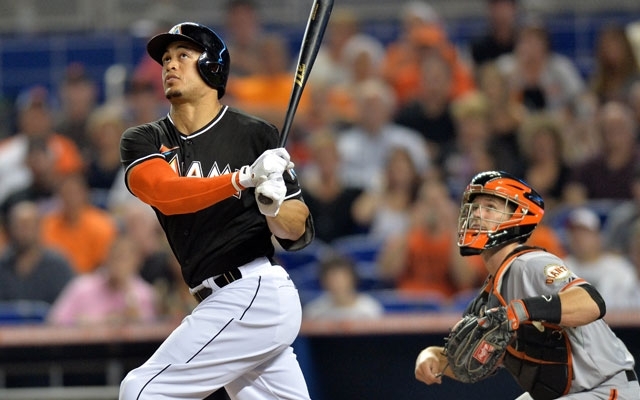 Giancarlo Stanton has 59 home runs. Can he hit 60? Does it even matter? I think it does. The Tigers and Giants (both 63-97) are battling for the top draft spot in 2018. The Phillies and White Sox will draft third and fourth, followed by the Reds with 93 losses and Mets with 91. The American League has a 159-139 advantage in interleague play this year. The Diamondbacks and Royals play the last interleague series of the season.